Our health service is in a ruinous state although it is the most expensive, per capita, in Europe. The book by Seamus O’Mahony, a Cork-based gastroenterologist, published four weeks ago ‘Can Medicine be Cured? The Corruption of a Profession’ is timely. There has been little analysis of where medicine is going, apart from that carried out by journalists, usually focussed on this or that scandal. In 1974 the iconic critique of modern medicine ‘Medical Nemesis’, by Ivan Illich, was published. I wasn’t even a doctor then but every wannabe medic embraced its message, at least when talking with their friends. The book itself drew on Illich’s left-lean position to argue that the state of medicine at the time impinged upon humanity’s ability to heal itself of disease. In retrospect, I am reminded of the myth of the ‘noble savage’, corrupted by civilisation but innately good. Illich in his thesis saw modern medicine as the corrupting force. It was, in my memory, a heavy, dreary book suffused by ideology. Most of my classmates promptly ignored its message and used whatever techniques modern medicine provided to do the best for their patients. In subsequent decades there was no other critique of medicine to compare with Illich, although psychiatry had its fair share, both from within and without the discipline. But general medicine has been left out of this analysis. That was until a few weeks ago when O’Mahony’s book was published. Unlike the obvious ideological and irritatingly rhetorical slant of Illich’s work, O’Mahony has produced a much more grounded and readable work. It’s also very amusing in parts and identifies real problems. Each chapter stands on its own, and the book can be taken up at will, without losing the thread. He identifies the tendency of modern medicine to create new diseases with little evidence to support their invention. The well-recognised coeliac disease has been shown to be caused by a bowel reaction to gluten in genetically predisposed individuals. It is associated with characteristic features on biopsy and on blood testing. Despite this, there are some doctors who believe that even with negative test results, a condition called non-coeliac gluten sensitivity exists and requires treatment. The obvious opportunity for commercial interests to step in and market ‘free-from’ foods is obvious. Now I understand why there are so many gluten-free products lining our supermarket shelves in recent years. They are feeding a market in “non-real” conditions, according to O’Mahony. “Free-from” products result in a new breed of lifestyle shoppers, eg lactose-free, sugar free, dairy-free, nut-free and so on, with no evidence of sensitivity in most of these consumers. His insight into what he calls the game of “My Disease is Worse than your Disease” is provocative. Referring to the awareness campaigns, he is calling for an end to these with a plaintive cri de coeur. He contends that by emphasising the poor awareness of a particular condition, the publicity this generates will result in more cash for research, budding careers will flower, government may be tempted to fund this campaign rather than another and the patient may benefit. While they start out with good intentions, they become hijacked by industry and by single-issue extremists in O’Mahony’s view. He has a particular ire for the focus on the well rather than the ill. 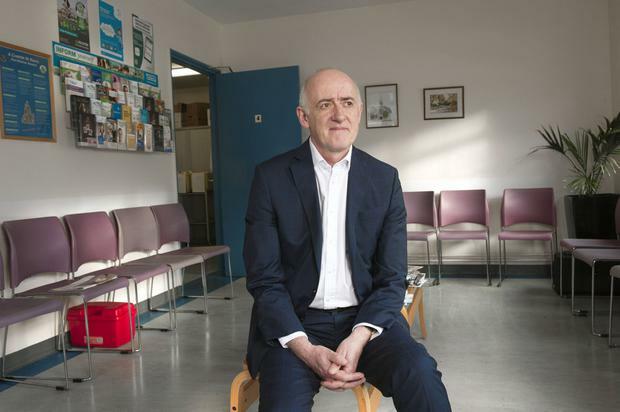 He discusses the endless screening programmes that now exist and contrasts this with the reality that when somebody is really ill and in need of hospitalisation, this will be unobtainable without first undergoing lengthy periods on a trolley in the corridor of the emergency department. But there is also a lot to be thankful for and O’Mahony is not understating his tribute to the 50 golden years from around 1930 to the 1980s. This era for him was marked by the development of a drug to treat peptic ulcers, known to many as Tagamet, and the subsequent contribution of Dublin-based gastroenterologist Colm O’Moráin showing that a bacterium caused the ulcers and their eradication was necessary for cure. While he doesn’t discuss this in his book, the treatment of mental illness also flourished during those years with the discovery of antipsychotic agents, antidepressants, cognitive therapy and lithium. All of these facilitated the closure of psychiatric institutions. However, strides in medicine have been slow since then as he points out. There is particular concern directed at the use of business models to manage the delivery of health care. Most people, even within the medical profession, have little understanding of health metrics such as mortality rates, and how this data can be used and abused to implement policy. O’Mahony has a particularly jaundiced view of this approach and he provides a comprehensive summary of several UK investigations into data on elevated mortality in a number of hospitals there. The manner in which the data was presented led to inaccurate reporting and media panic; this is referred to as the McNamara fallacy. As O’Mahony wisely says, “numbers should be our tools, not our tyrant”. Empathy is a buzz word now in medicine and O’Mahony also casts a wry eye over the industry that has developed around this. Just like medical students bought ‘Medical Nemesis’ in droves in the 1970s, they should do the same with this book. They will gain new knowledge and insights, as well as being amused.